An environmentally friendly tote bag with gusset. 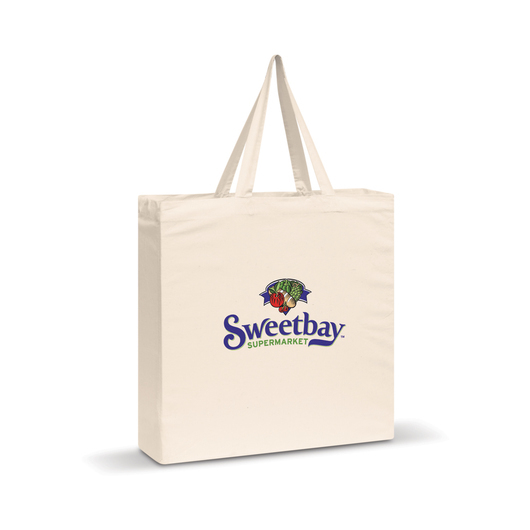 Made from environmentally friendly unbleached natural cotton, these bags are the perfect companion at the grocery store and will stop the need for plastic bags. They have a gusset for increased strength and a great branding space.